The Georgia State University Library now provides access to two modules of the ProQuest History Vault, a project involving the digitization of historical primary sources previously available on microfilm. These two modules focus on 20th-century African-American history and are a welcome addition to our primary-source database holdings. The first two modules of ProQuest History Vault cover the breadth of The Black Freedom Struggle in the 20th Century from the perspective of the men, women, and sometimes even children, who waged one of the most inspiring social movements in American history. Spanning from the founding of the National Association of Colored Women’s Clubs at the close of the 19th century to the riots that followed the verdict in the Rodney King police brutality case in the last decade of the 20th century, the first Black Freedom Struggle module (Black Freedom I) consists of 37 collections of records from federal government agencies. They include sources like the FBI Files on Martin Luther King and records from the Kennedy, Johnson, and Nixon administrations that detail the interaction between civil rights leaders and organizations and the highest levels of the federal government. But perhaps more poignant, immediate and genuine struggle may be seen through the unique view into the day-to-day, such as the records of the Interstate Commerce Commission on discrimination in transportation, which captures the difficulties Black Americans faced when traveling. History Vault: Black Freedom I and II lets you browse by events and by collections, and offers suggested search terms which include key persons, organizations, and events in African-American history. 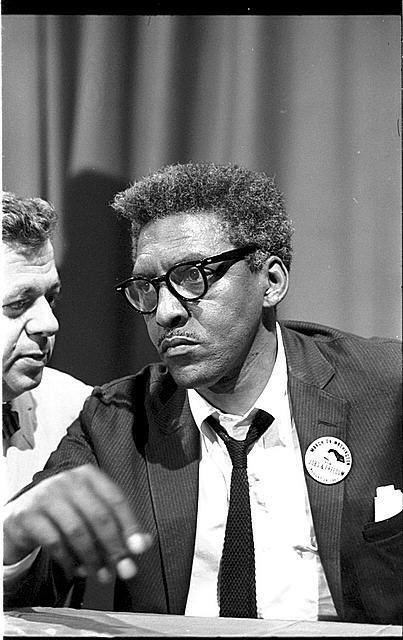 Each collection within a module includes a detailed overview of materials included in that collection and a description or biography of the organization or person covered (see for example this overview of the papers of gay civil rights activist Bayard Rustin). This entry was posted in African American Studies, Databases, For Faculty, For Graduate Students, For Students, History, New Resources and tagged Civil Rights Movement. Bookmark the permalink.